Samsung has always used AMOLED screen in their budget phones also, expect some models. But this time it may include an IPS LCD that could be made by the Chinese display manufacturers, BOE. Maybe because of the hole in display demands an LCD panel that's why Samsung has taken this step. It can be a 6.39 inch FHD+ screen with either the Infinity-O or Infinity-U display. 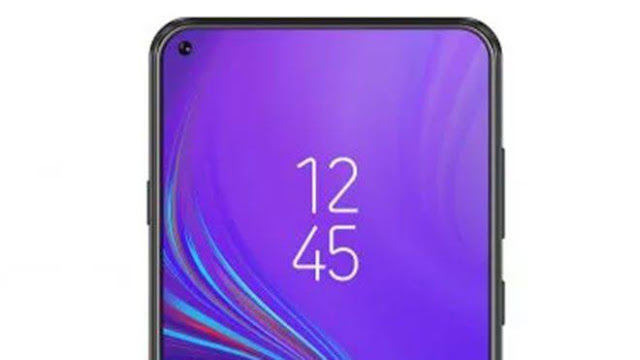 The leaks are suggesting that the Galaxy A8s can have both type of the display holes with different model names. Another highlight of the device can be its processor. As per the leaks, the Samsung Galaxy A8s can appear with the Qualcomm's latest 700 series chipset, the Snapdragon 710 to provide the flagship level performance in mid range budget. It has the Adreno 616 GPU support along with it for better graphics experience. 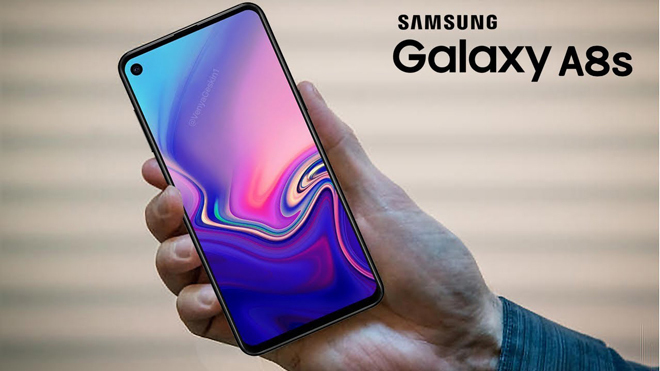 Though the software section is still unknown, but it is highly expected from Samsung to launch the Galaxy A8s with the latest Android 9.0 (Pie). The camera section also came in front with a triple rear cameras. Their may be a combo of 24 MP, 5 MP and a 10 MP sensors. Though no any confrontation has arrived about their functionalities. But looking at history of Samsung's multi camera phones, it can be assumed that the main sensor can be 24 MP one with the 5 MP depth sensor. And the last one may work either as the wide angle lens or the telephoto lens for optical zoom. In the front side it can have a 24 MP selfie shooter in the display hole. Apart from powerful processor, the Samsung Galaxy A8s may have higher ram and storage variants too. As the leaks are suggesting that it may come with 6 GB of ram and 128 GB of internal storage options. No other variants have been revealed till now. But the external sd card can be added with support of upto 512 GB via hybrid solution. After all of these, some leaks are also revealing the battery section of the phone. Samsung's AMOLED technology always has benefited it's average battery types, but this time it has an LCD panel with a 3400 maH battery. So Samsung must optimise the software section nicely. The USB type C port can be present for data transfer and charging purpose. The faster charging solution can also be added by Samsung if they want to provide that to the consumers. 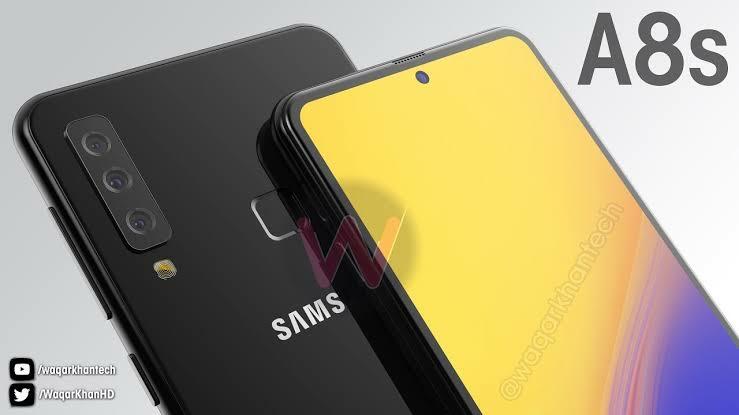 Those were all the leaks and rumours coming about the Samsung Galaxy A8s smartphone. The original phone can be different than this. We have to wait for the official declaration from the brand itself. One more thing we have to wait for is the price of the device. As Samsung has priced its A9s with the sd660 and quad rear cameras in the 38-40k segment, the A8s with sd710 and the in-display camera feature may be priced higher by the brand.